CryptoSignals.software is a cryptocurrency signal service which is said to make the trader profitable regardless of the market condition. They have provided detailed information about the current happenings in the crypto market which creates an impression of being a main player. No wonder many investors including the one’s with decent amount of exposure to the markets have fallen for the hype. The creator behind this service is unknown as he / she has maintained anonymity to such an extent that it induces a little suspicion. Before you try to get their trading software, read our complete review which will give you a crystal clear understanding of their platform. Any type of activity offered by firms which contains an element of risk has to undergo certain checks in order to qualify as an investment advice service. This platform puts forth many exaggerated claims but fails to provide the basic details concerning their legal matters. Usually when a firm is not transparent of showcasing their legal competence they are a scam in most cases. Furthermore there is no information about this supposedly groundbreaking software on the FCA and FTC platform thereby carrying on it’s operation preposterously. One more thing you have to keep in mind before interacting with this service is that whenever you face any kind of issues or technical problems then be prepared to wait for a long time to get them resolved. The main reason for the delay is because they do not have any support team in place to heed to the clients pleas. All the request should be sent via social media channels like Facebook. It is very unpleasant to wait for days to fix a problem and this behavior is certainly unethical. How does CryptoSignals.software work ? This service is said to exactly let traders or investors know what coins to trade ? How much to trade ? When to get in and when to get out ? If this software really was capable of answering these question then we would all be millionaires. This software states that it follows trend trading strategy but does not explain the signal generation process in detail. Also it does not offer demo or free trial so if you are thinking about trying them out know that it is not going to happen. Scanning more than 600 pairs is no joke and unless systematically done it could burn your account within few minutes. Since we do know the parameters which affect the trading bias of the algorithm we feel very uncomfortable using them for placing the trades. They say that they look after risk parameters but they haven’t put up enough information either. There is no sort of guarantee on the returns one might earn because of the uncertainty level present in the ever volatile markets. Many screenshots showing impressive profits are put up by them. 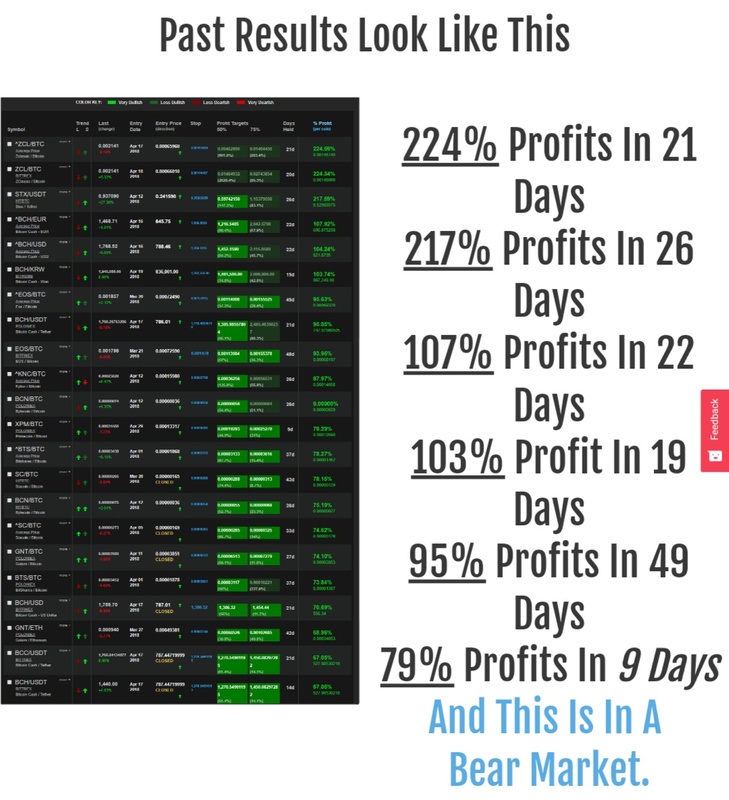 If you take a look at them every photo shows only the profits and does not show a single loss which is highly unlikely. Moreover the investors cannot verify if they are real or not as the exact performance report showing the exact entries, exits and draw-downs are unavailable. Always double check everything you read online because quite often it will be bogus hype creating things. When we checked the database of whois.com we found the following information about their domain. All the information regarding the registrants are redacted for privacy. This website according to similarweb.com ranks 6,593,870 worldwide and it ranks 2,064,764 in the United States. They get 80.34% of the traffic directly and 19.66% of the traffic comes from Search Engines. Is CryptoSignals.software a Scam ? CryptoSignals.software is a signal service and should not be mistaken for a proprietary software. Our main problem with this firm is that they are unlicensed and have nothing to show in terms of previous accomplishments. The bold claims are equivalent to dust in today’s world as anyone on the internet can claim to have picked the right direction after it happens but without proof their statements should never get entertained. As always remember when something is too easy to do there is always some mishap waiting to unfold upon you, the only question is when. There is a lot of information put up on this platform which will overwhelm a lot of newbies but stay in your senses and don’t impulsively pay for anything. All the statements from popular banks and details of various strategies are available mostly for free on the internet. The past results segment on their website is a classical example of shady marketing trick because it is not backed up by any sort of credible proof. Given the current number of question marks and red flags we would never recommend anyone to try them. 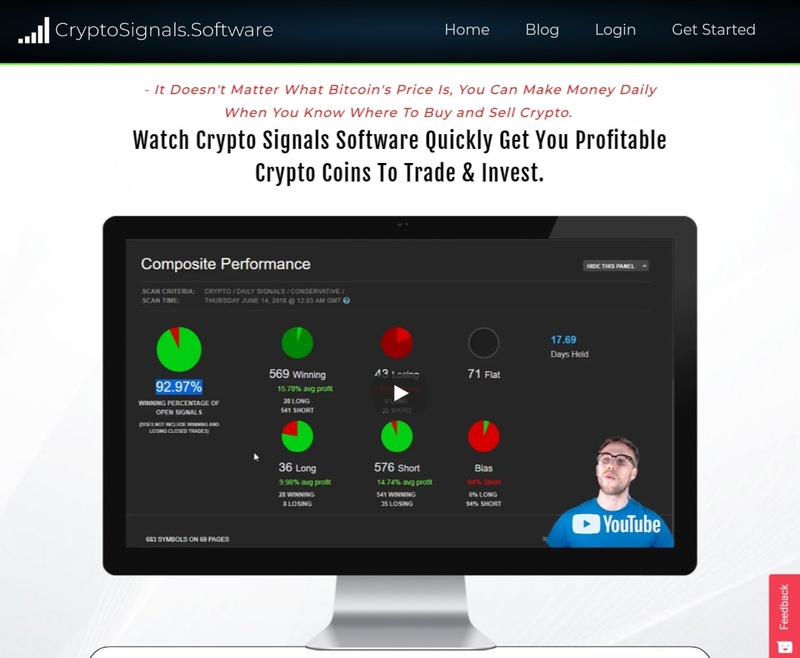 Have you tried CryptoSignals.software? Share your opinion by leaving us a comment.